With our sought after estate Tallagandra Heights final lots selling we move across the road to The Highlands on the corner of Wuraga and Menora Road. Close to shopping, public transport and central business districts of Beenleigh, Logan and Springwood, Highlands balances nature with convenience. Discover the three new display homes powered by Colorbond and James Hardie for the latest design, material and construction ideas. 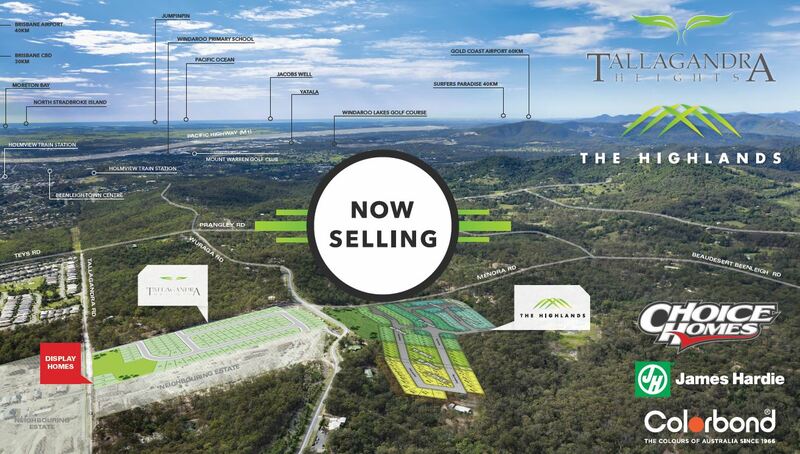 With easy access to the M1, the estate is ideally positioned, with the Gold Coast just 35 minutes south and Brisbane CBD 30 minutes to the north. 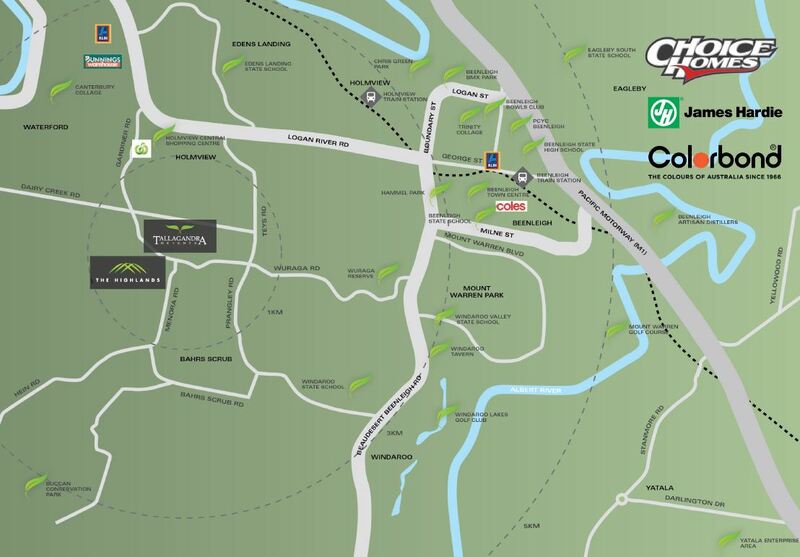 Residents can enjoy a tranquil lifestyle while remaining close to all the urban facilities they could ever need. Just minutes from Eden’s Landing State School, Canterbury College and more than 21 public and private schools and numerous childcare centres in the Logan region, Highlands provides families with every convenience. The city is a major economic destination with key industries including manufacturing, retail, business and community services, the property sector, construction and agricultural industries. Over the next 20 years Logan will continue to be one of the fastest-growing cities in Queensland. Given its central geographic location and available young workforce, Logan is ideally place for continued growth in the southeast Queensland region. A combination of affordable property prices, a solid pipeline of development and infrastructure, and proximity to job hubs is making Logan an ideal choice. 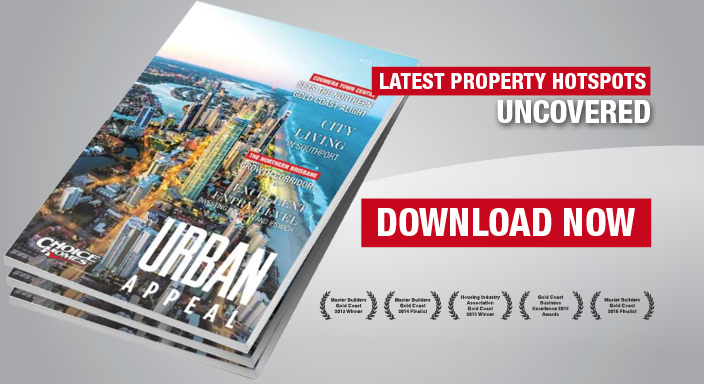 Many of the city’s older suburbs have been revitalised through urban renewal projects, with a new emphasis on social elements – such as dining, entertainment, recreation and cultural diversity – rounding out the city’s new image. Logan is currently home to 19,490 businesses, employing 132,690 people. Over 53,000 new jobs will be created in the Logan area to accommodate expected population growth. The 127-hectare Yatala Enterprise Area (YEA) industrial hub is projected to inject $1 billion in the economy over the next 10 years. It is one of Queensland’s premier industrial addresses and is set to be a market leader in terms of innovative industrial development and will facilitate long-term employment. The YEA has enough capacity to sustain development until 2046. By 2031, Logan’s population is expected to top 473,000 by 2031 and the Logan City Council has a Priority Infrastructure Plan in place to help manage the city’s growth in terms of housing and employment.